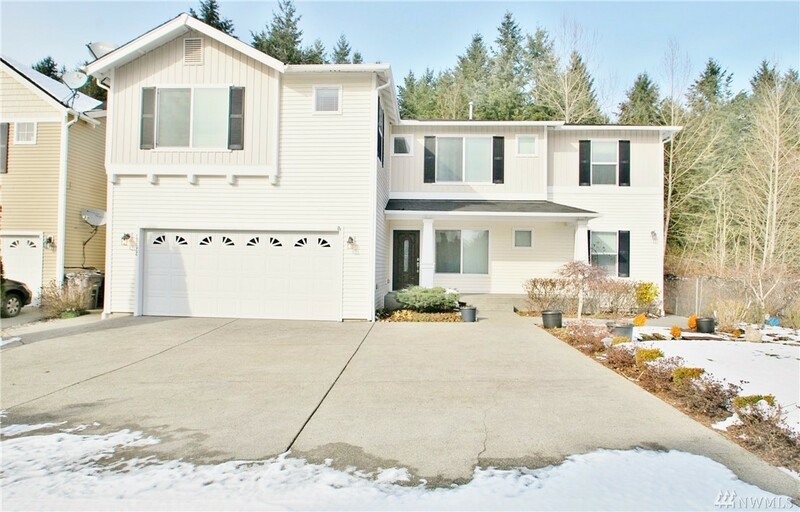 3,620 sq ft; lot: 8403 sq ft - MLS# 1409578 Courtesy of John L. Scott, Inc.
Silver Creek 5 bed home with two master suites. Master on main floor offers wheel chair access to shower with ramp, large 3/4 bath, walk in closet, & spacious suite.Master suite up offers large walk in closet,ample vanity storage,large tub, & spacious room. Cook's kitchen with plenty of counter space, lots of cabinets, & gas range open to great room perfect for entertaining.Bonus room up.Enjoy oversized parking pad, garden beds, green house, & covered patio with greenbelt view.